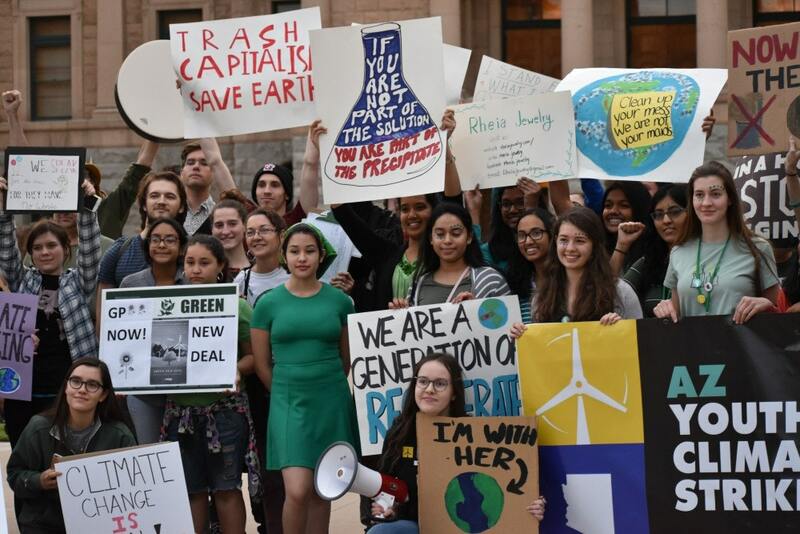 Friday’s Global Student Strike to Address Climate Change showed so clearly that our wonderful world is at a social tipping point as well as a biological tipping point. Although at least one student carried a sign saying “I don’t want to give you hope, I want you to panic,” I am hopeful. To me the events of Friday, March 15 are the visible tip of a magnificent, multi-faceted movement that – like an iceberg – is mostly invisible. How many people do these millions of students and allies represent? In my opinion, these activists represent an estimated three billion people (half of the population of the world) who are actively engaged day in and day out doing what we can to put a stop to the on-going industrialization of our precious planet. How many other living beings are these students and allies representing? As you watch this news coverage, I invite you to also consider the billions and billions of other living beings that are also actively engaged in doing whatever is possible to bring our planet back into balance. Now that you are thinking globally, how are you acting locally? I invite you to reflect on your own contributions to this massive and amazing effort that is so clearly grounded in the earth-centric, universe-centric values of ecological integrity, care and respect for biodiversity and social diversity, justice for the Earth and peace – not just for people – but for all living beings on Planet Earth. What is your assessment of what needs to be done? What is your assessment of what you can do locally to contribute to this global need? Remember the importance of putting on your oxygen mask first, before helping others. What are the life enriching and life sustaining actions are you involved in on a daily basis that are keeping you breathing, keeping your mind and heart open, keeping your body and spirit strong, creative, and constructive? How are your local daily courageous and compassionate actions contributing to our common cause of caring for our precious planet Earth? Where are you showing up to take action on behalf of biodiversity and social diversity? Who are you inviting to show up with you? Dare to believe and trust in the power of all these diverse ways of transforming ourselves, our communities and the world by appreciating biodiversity and social diversity as gifts that enrich and sustain our planet. This entry was posted in Inclusive Bridge Building, inclusive community building, Inclusive Leader Campaign, Inclusive Leaders in Action on March 18, 2019 by lindadianahill.